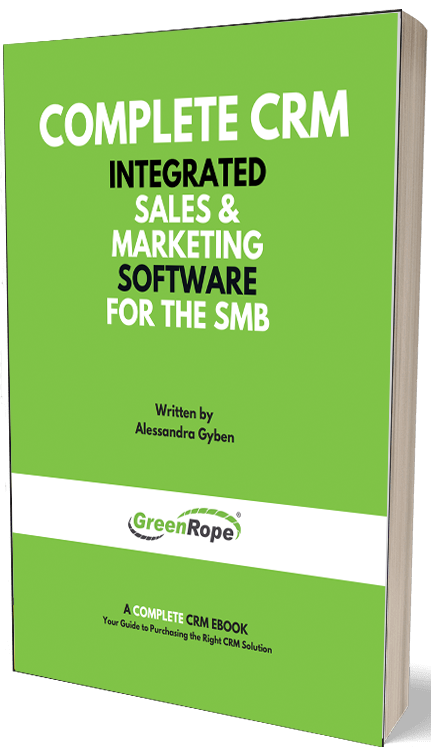 We’re constantly making updates and improvements to GreenRope to provide you with the most powerful and only Complete CRM on the market. Our team had a productive month in March, and we’ve highlighted some key new features and updates below! 1. GreenRope’s survey builder is extremely useful to seamlessly gather feedback from your customers and leads, while automatically updating your database with their information. We’ve upgraded our Surveys feature so you can create custom designs for each individual survey, including the ability for a custom page URL. This is a great way to make sure all your surveys are consistent with your messaging and brand, while setting you apart from your competitors! 2. We’ve updated our Quickbooks Desktop integration plugin with a new modernized look and feel. Learn more by going to the Contacts > Import > Quickbooks section of your GreenRope account. 3. You can now add comments from team members to your CRM Activities for any contact in your account! This new feature helps your team collaborate on any specific task or activity managed in the system. You can automatically send these comments to everyone who has the “Contacts” shared access in your groups! 4. Have you ever had a customer service ticket submitted that doesn’t pertain to your business? Now, you can block tickets that have specific keywords, eliminating those tedious hours spent sifting through unwanted tickets by spammers. Define these keywords in the Settings > Account level, Settings > Group level, or in any of your specific ticketing forms. 5. We’ve updated the Opportunities feature to track profit! Now, you’ll be able to identify exactly how much profit your business is generating from specific leads through opportunities. 6. Now available are new and improved captcha options handling for signup forms with single opt-in! Now you have the option to use single opt-in signup forms with or without forcing your contacts and leads to fill out a captcha. 7. We’ve updated our Calendar to include the company name for all of your CRM Activities associated with contacts visible in your calendar! 8. We’ve added opportunities won or lost in the last 7 days, with the specific title and value of opportunities in the Daily Summary email you receive. You can also view this addition in the Settings > Account section. Now, you can stay updated on how your sales team is performing! 9. We’ve added the ability to save multiple versions of your email templates! Now you can save or update current versions in the Communicate > Email secion, or reference previous saves. You’ll never have to worry about overwriting your templates again! 10. We’ve added new options to show or hide your contact’s email address, mobile, and phone number in your organizational charts! See the Apps > OrgChart for more details! 11. This last update is very exciting. We’ve built the ability to embed (.mp4) type video files to your emails! A major improvement and upgrade to your email marketing capabilities with GreenRope. Stand out in the inbox, and show off your best video content!